over land, sea and air! 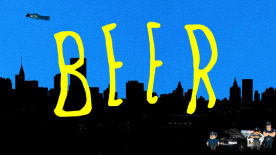 Beerman the computer game is a tale of a reluctant city superhero. drug before exporting it across the rest of America. as they wage war in dastardly machines intent on braking Boston! The Society Of The Ninth had declared war on alcohol and based their operations in Boston! They called Boston's greatest hero...Beerman! all the others and it was found! had too many powdered snacks and fell into a vat of it. appetite like beer and stopped them growing more cheeks than they could sit on had to go!